THE PASSIONATE PRO-LIFER TURNED ABOLITIONIST: Nattering nabobs of negativity! RESOLVED, that the ____________ County Republican Party not divert its efforts to restore Republican values to American government and society by expending resources in support of the "Personhood Amendment" now being promoted in Colorado. Now here's a resolution which will bear fruit!! 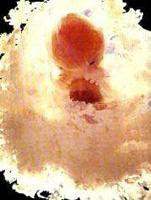 RESOLVED, that we will fight for the passage of Amendment 62 with every resource at our disposal, including the Blessing of Almighty God, to declare in the Colorado Constitution that the unborn are persons, from the beginning of their biological development, in order that their lives would be protected by love and by law.